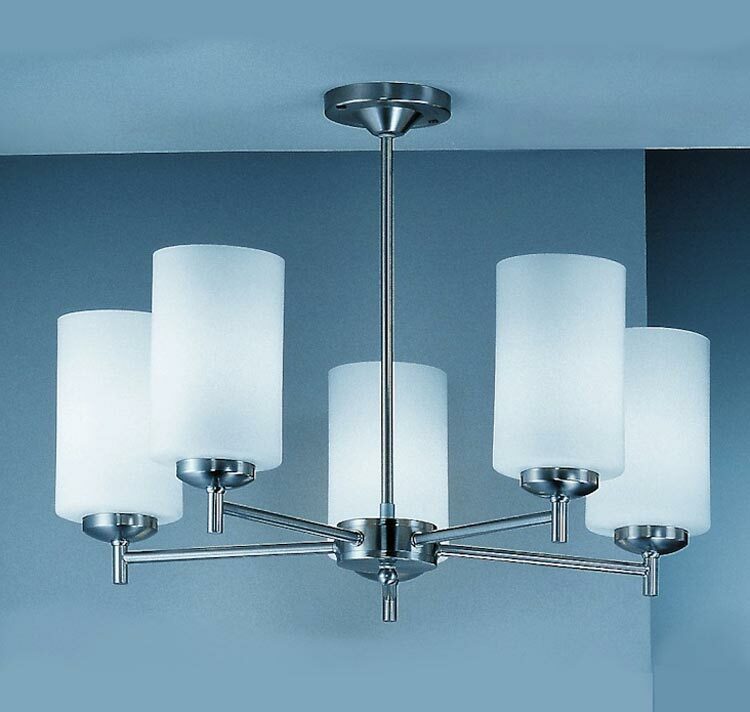 This Franklite Decima 5 arm semi flush ceiling light in satin nickel finish with opal white glass shades is simple and elegant, with circular 9.5cm ceiling flush mount, slender drop rod and five straight arms supporting upward facing opal white glass cylinder shades. A subtle design that looks fantastic in modern and traditional settings and ideal lighting for rooms with a low ceiling. This flush fitting is supplied by Franklite Lighting who have been one of the pioneers in the design, manufacture and distribution of high quality lighting such as the Decima 5 arm semi flush ceiling light in satin nickel finish with opal white glass shades you see here.